volcano at dusk just exposing its peak and the base covered with misty clouds. 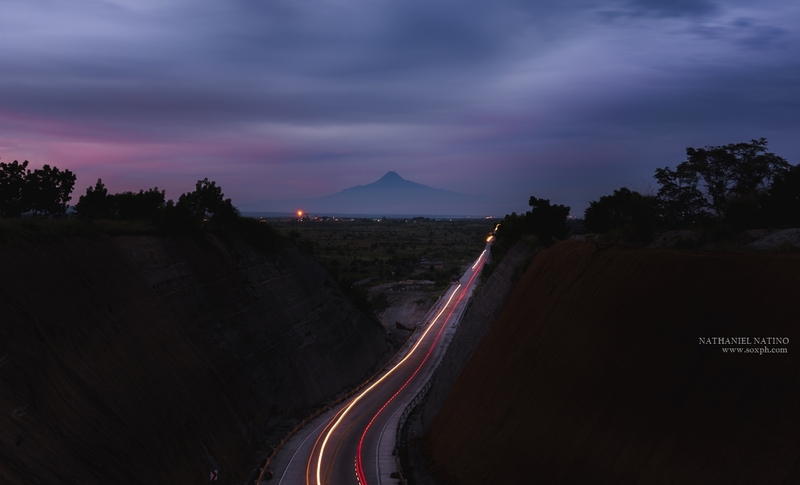 It's truly an exciting and majestic sight seeing the volcano disappear in the dark along with the once colorful sunset clouds as the city lights and busy cars light up the land. Truly this active volcano is one of the distinguishing landmarks of SOX.